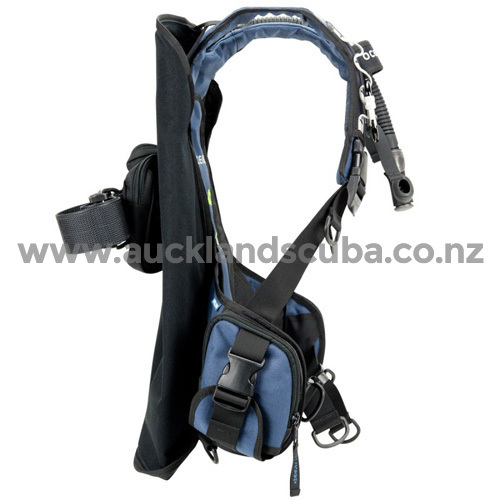 BCD includes a right shoulder carabineer adjustable positioning system. BCD has a low profile back pack that makes it easy to fold in half for traveling purposes. Low profile bladder design and made with Patented Bioflex material- a living fabric" that stretches, flexes and conforms to your body. With a material that can stretch while remaining airtight, Oceanic is able to make a smaller air cell, creating less bulk and drag underwater while achieving high volume of lift when required. The Biolite comes with torso adjustable shoulder straps and a self-adjusting sternum strap that is equipped with a safety whistle. The streamline, Integrated Weight System accommodates up to 6.4 kg in dual 3.2 kg front weight pockets. The Quick Drop" weight release system is easy to load and use. 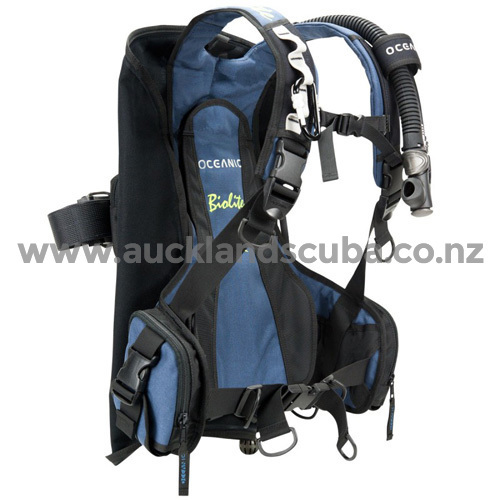 In addition, there are dual 2.3 kg tank band Non Drop Weight Pockets" which also add stability when used in the water. BCD uses Oceanic's Power Inflator equipped with a cable activated Pull Dump and has an additional lower rear Pull Dump/Overpressure Relief Valve mechanism. The BC provides 14.5 to 17.24 kg of lift from the X-Small to the Large Sizes.